"This groundbreaking history of the country's most notorious prison is the first to give an in-depth analysis of the interaction between the guards and the prisoners. Ward capturesthe Alcatraz experience with tthe accuracy ofsomeone who has practically been there and lays to rest many of the myths that have grown up around the prison. 'the worst of the worst' without qualification. A unique and fascinating study". were returned to the free world". 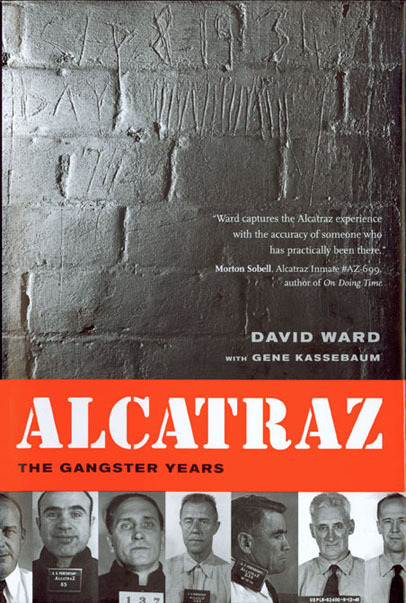 NEW VIDEO: Ward discusses the origins of "ALCATRAZ, THE GANGSTER YEARS"